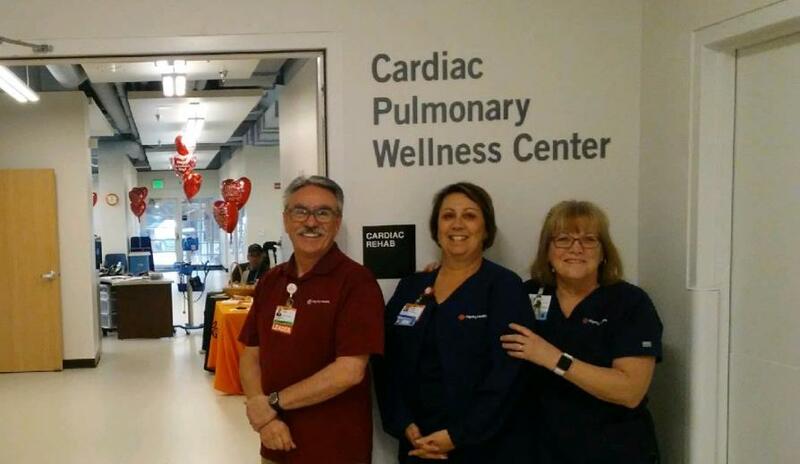 Cardiac Pulmonary Wellness Center staff on opening day. Left to right: Supervisor Henry Moreno, RCP, Jeanne Franco, RN, BSN, and Diane Obrey, RN, BSN. Cardiac Services at Mercy Medical Center has seen tremendous growth. The opening of the brand new Cardiac Pulmonary Wellness Center, as well as the addition of PCI (percutaneous coronary intervention) procedures, have been added to the repertoire of the many diagnostic services and cardiac catheterization lab procedures provided here at Mercy. Even after millions of dollars in capital improvements to our new Cardiac Pulmonary Wellness Center, there is still more that we need to do. Our program leadership has requested an additional $100,000 from the Mercy Foundation to ensure the program is strong and viable for the next generation of cardiac pulmonary patients with new exercise equipment, technology, and enhanced services. Your gift to Mercy Medical Center Merced will positively impact lives - and save lives - for many years ahead. You will be helping to strengthen care, deepen sacred encounters, and enhance the health and healing journey of your community and those you love. Those who desire to have their name secured with one of our five (5) named spaces in the new Cardiac Pulmonary Wellness Center will receive individualized name recognition. Gifts range from $10,000 to $50,000. If you are considering estate planning and contributing through an estate gift, we can help walk through that discussion. All donors of $1,000 or greater will have their name placed on a commemorative plaque in the Cardiac Pulmonary Wellness Center.